For those of you who have ordered something from us for today, thank you letting us play cupid for your special gift this year. 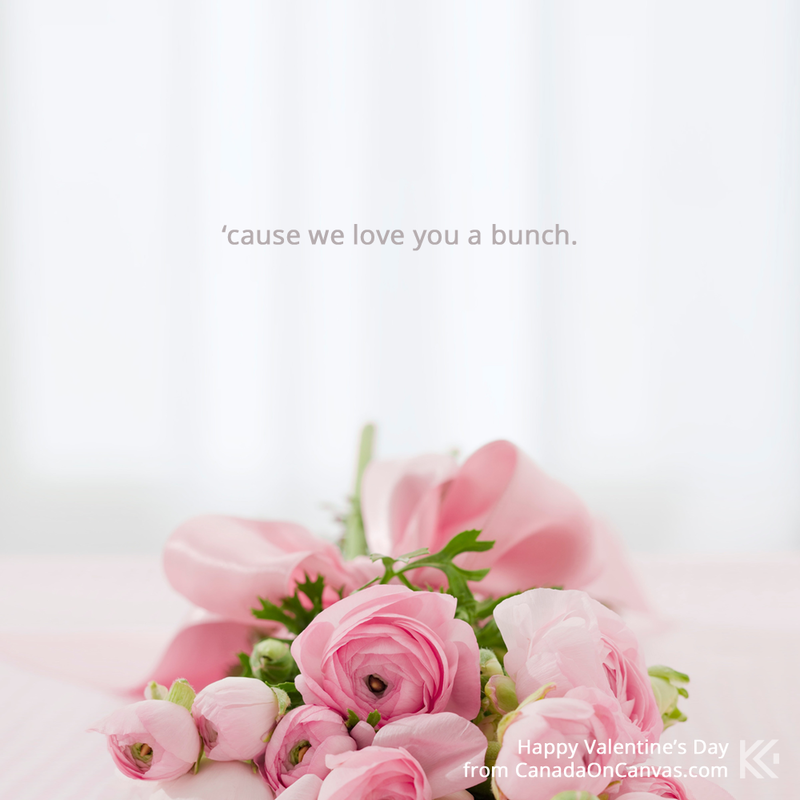 Happy Valentine's Day from all of us here at CanadaOnCanvas / KeenArt Media - we hope your day is bright with love and joy! Check out our Ideas Gallery for that next big special day! StockPhotoSet #2 - Spa-aaah~ & Relaxation! StockPhotoSet #1 - Food and Drink!